Most of us can’t make it through morning without our cup (or cups) of joe, and we’re not alone. Coffee is a global beverage: it’s grown commercially on four continents and consumed enthusiastically on all seven—and there is even an Italian espresso machine on the International Space Station. Coffee’s journey has taken it from the forests of Ethiopia to the fincas of Latin America, from Ottoman coffee houses to “Third Wave” cafés, and from the simple coffee pot to the capsule machine. 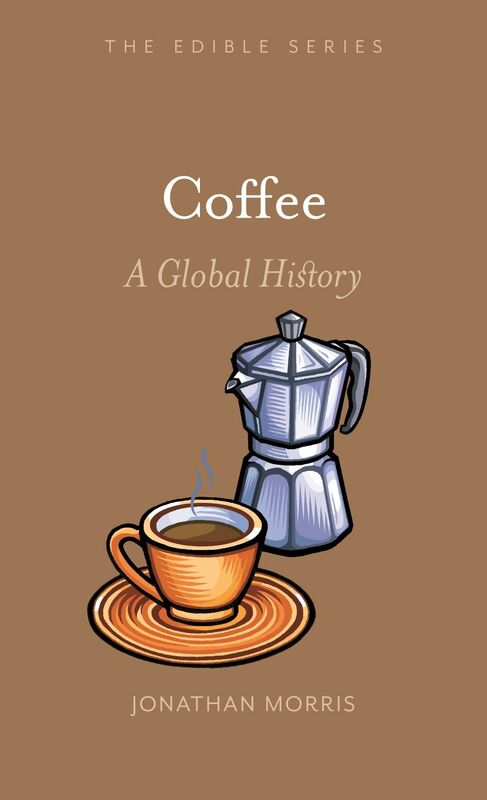 In Coffee: A Global History, Jonathan Morris explains both how the world acquired a taste for this humble bean, and why the beverage tastes so differently throughout the world. Sifting through the grounds of coffee history, Morris discusses the diverse cast of caffeinated characters who drank coffee, why and where they did so, as well as how it was prepared and what it tasted like. He identifies the regions and ways in which coffee has been grown, who worked the farms and who owned them, and how the beans were processed, traded, and transported. Morris also explores the businesses behind coffee—the brokers, roasters, and machine manufacturers—and dissects the geopolitics linking producers to consumers. Written in a style as invigorating as that first cup of Java, and featuring fantastic recipes, images, stories, and surprising facts, Coffee will fascinate foodies, food historians, baristas, and the many people who regard this ancient brew as a staple of modern life. "With an engaging eye for detail the author explains how this dark and bitter beverage conquered the planet. . . . [A] fascinating read."